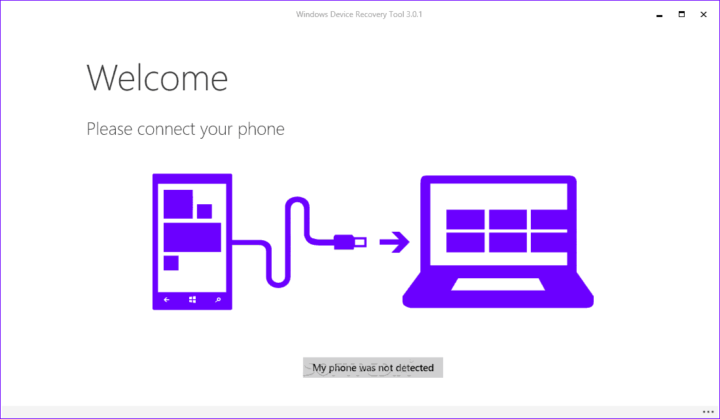 The Windows Device Recovery is a tool you can use on your computer in order to fix software issues. The tool will install the latest version of Windows that works on your mobile device and remove everything else, including games, texts, call history, apps and more, to do so. 4GB or more of free storage on your PC. This tool works for Acer, HTC (One M8 and MX), Lumia, Neo, UniStrong, Yezz, VAIO and Alcatel smartphones that run Windows Phone 8 or later. And starting from today, add the HP Elite x3 to the list: Its developers released a new version of Windows Device Recovery Tool that adds support for the HP Elite x3. The Windows Device Recovery Tool version 3.10.24401 that supports HP Elite x3 can now be downloaded and installed on your computer without any problems. Along with the support for HP Elite x3, the new version of the tool comes with the usual bug fixes. The HP Elite x3 Windows Phone has not yet been released in the United States yet, but the device is already being shipped out to the UK. The device comes with Windows 10 Mobile, a Snapdragon 820 chipset, 64GB internal storage and a QHD display of 5.96-inch. We can’t say this confirms that the HP Elite x3 will be added to the Windows Insider Program, but there is a high chance this happens. Other phones, such as the Yezz Billy 4.7, were added to the Windows Insider Program right after they started being supported by the Windows Device Recovery Tool.